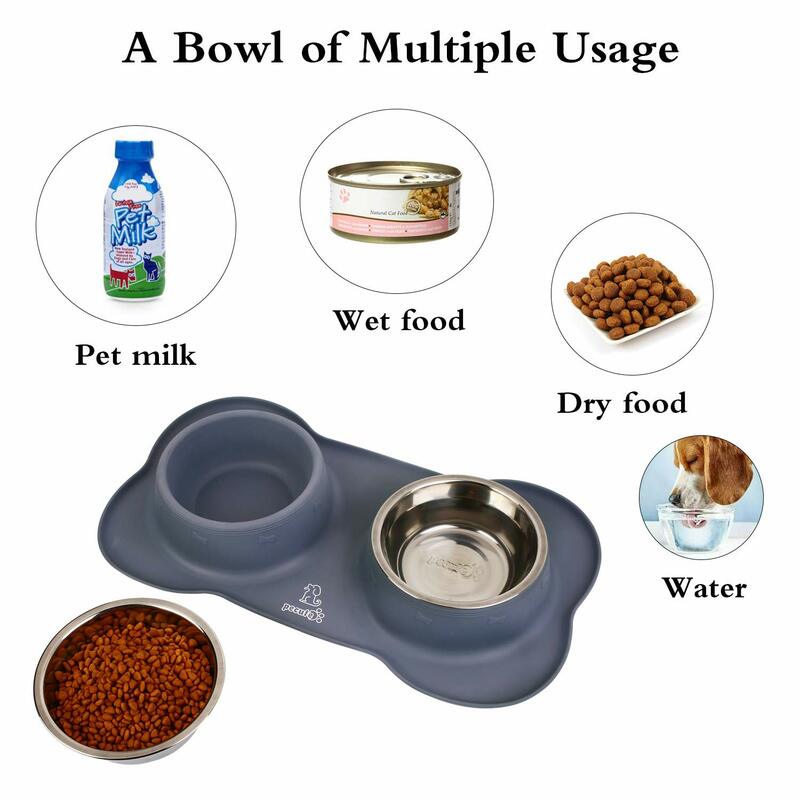 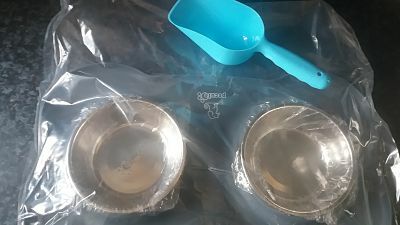 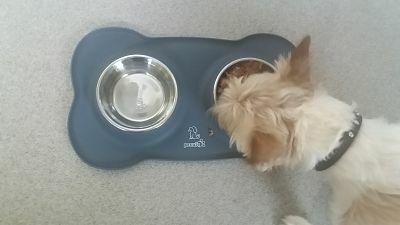 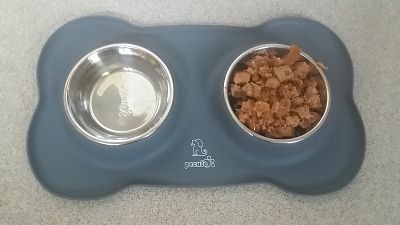 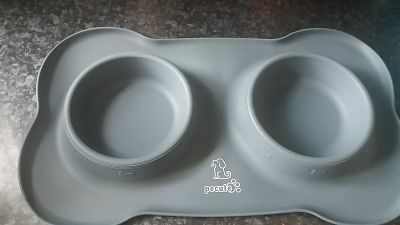 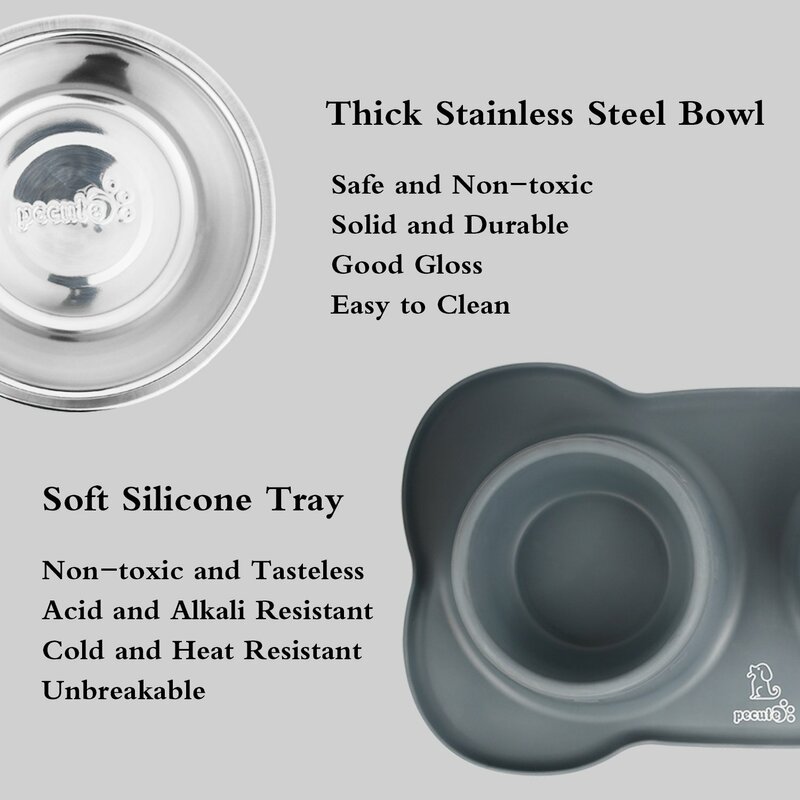 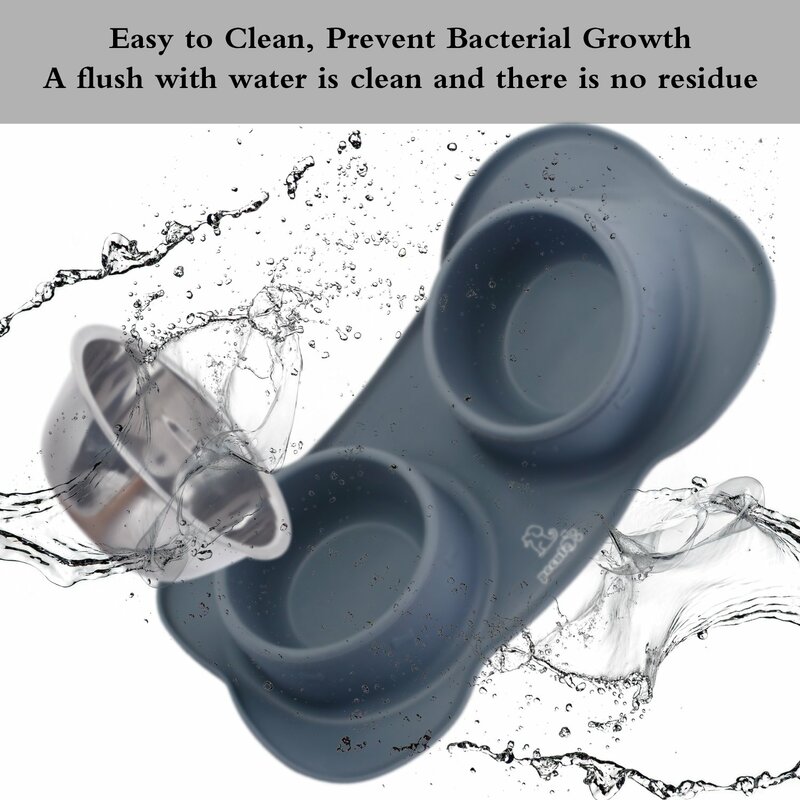 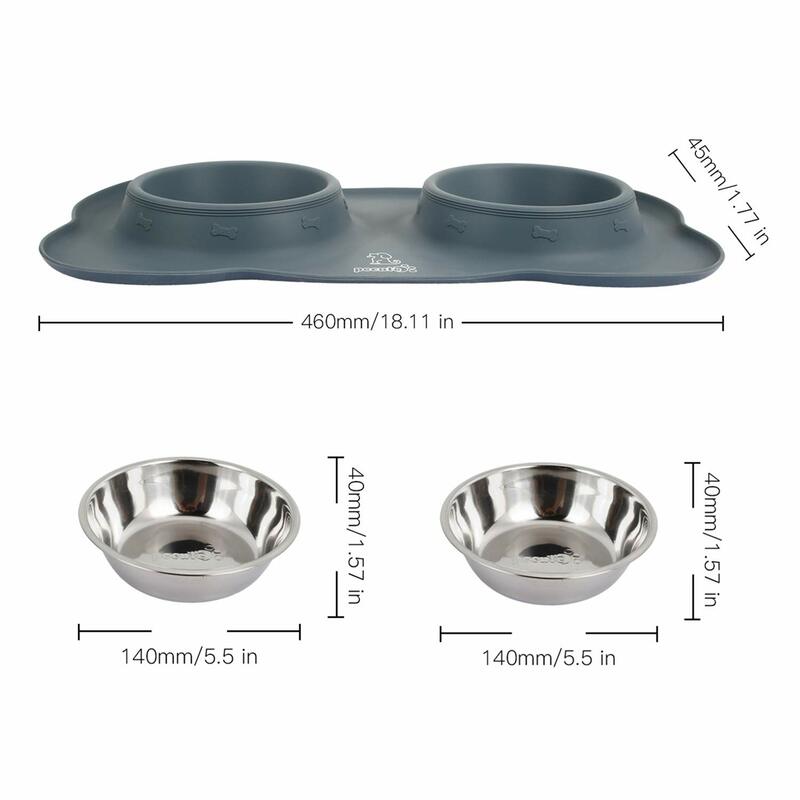 I bought this set as it is suitable for a small dog and i have a Jack Russel but he's a little messy when he eats so i knew id have to get a mat but , i found this one and its perfect , by Pecute and holds two bowls ,its grey , which goes with my colour scheme perfectly , the mat is silicone to too which stops the bowls from sliding about but not only is it silicone , it has ridges too which stops spills from hitting the floor , prefect for my messy pup , but also the bowls sit in the dips perfectly so they are removeable and stainless steel which is antibacterial , I found washing it very easy and if i had one it is dishwasher safe . 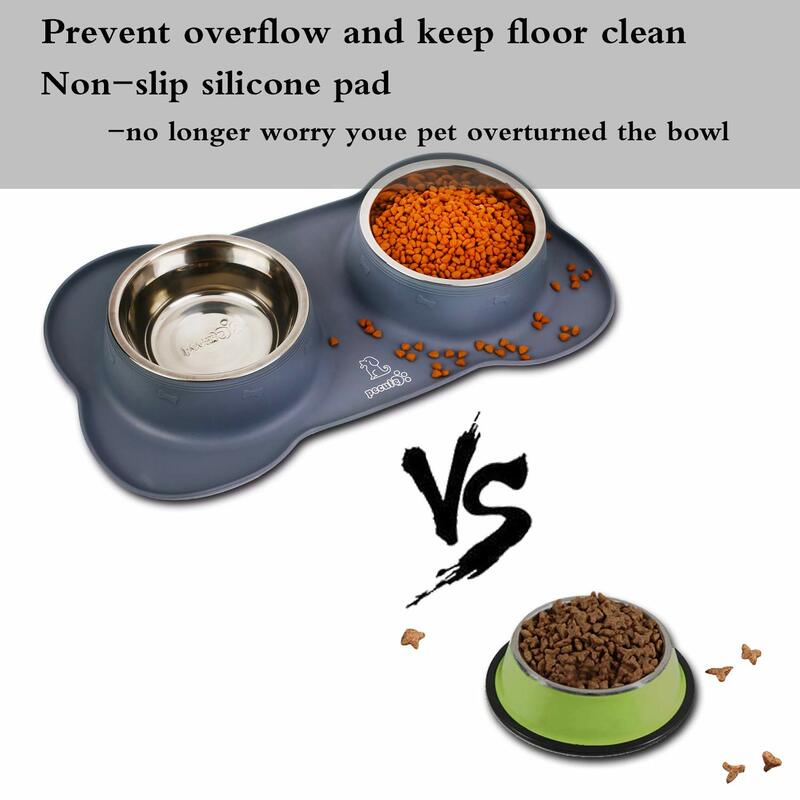 the Silcone mat is a cute bone shape which makes it look more fun. 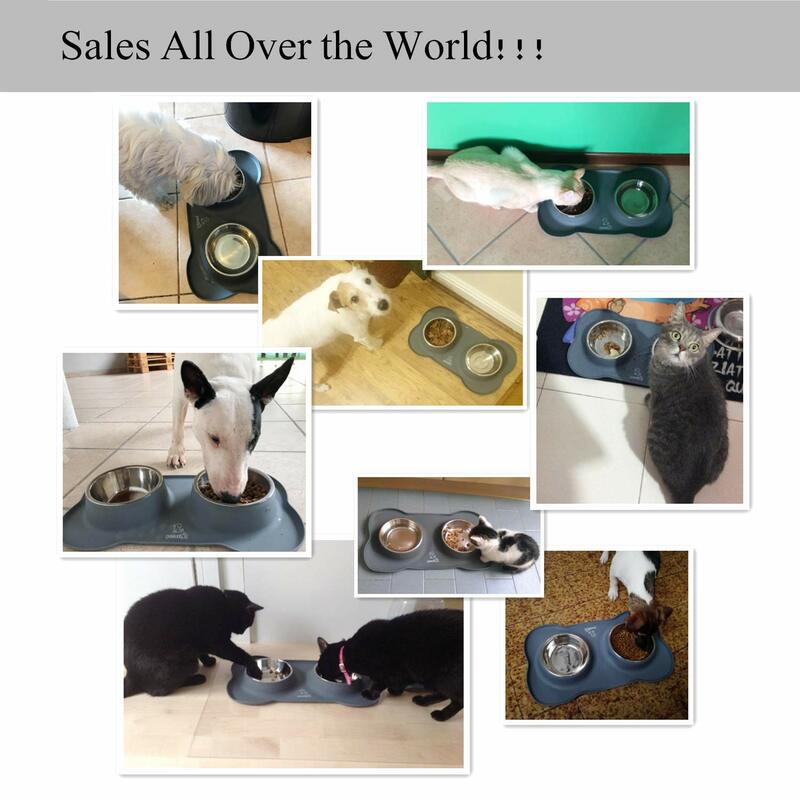 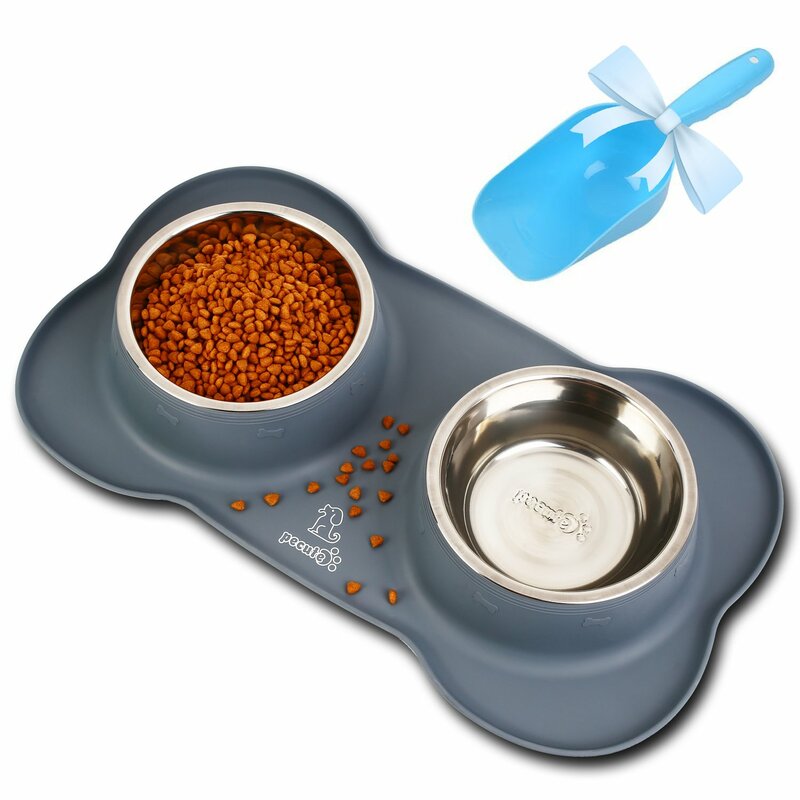 the set comes with a free measuring scoop so you can make sure your furry friend is not under or over fed.